The College of William & Mary (also known as William & Mary, W&M, and officially The College of William and Mary in Virginia) is a public research university in Williamsburg, Virginia. Founded in 1693 by letters patent issued by King William III and Queen Mary II, it is the second-oldest institution of higher education in the United States, after Harvard University. Latin: "Collegium Gulielmi et Mariae"
William & Mary educated American Presidents Thomas Jefferson (third), James Monroe (fifth), and John Tyler (tenth) as well as other key figures important to the development of the nation, including the fourth U.S. Supreme Court Chief Justice John Marshall of Virginia, Speaker of the House of Representatives Henry Clay of Kentucky, sixteen members of the Continental Congress, and four signers of the Declaration of Independence, earning it the nickname "the Alma Mater of the Nation." A young George Washington (1732–1799) also received his surveyor's license through the college. W&M students founded the Phi Beta Kappa academic honor society in 1776, and W&M was the first school of higher education in the United States to install an honor code of conduct for students. The establishment of graduate programs in law and medicine in 1779 makes it one of the earliest higher level universities in the United States. In addition to its undergraduate program, W&M is home to several graduate programs (including computer science, public policy, physics, and colonial history) and four professional schools (law, business, education, and marine science). In his 1985 book Public Ivies: A Guide to America's Best Public Undergraduate Colleges and Universities, Richard Moll categorized William & Mary as one of eight "Public Ivies". A school of higher education for both Native American young men and the sons of the colonists was one of the earliest goals of the leaders of the Colony of Virginia. The college was founded on February 8, 1693, under a royal charter (legally, letters patent) to "make, found and establish a certain Place of Universal Study, a perpetual College of Divinity, Philosophy, Languages, and other good arts and sciences...to be supported and maintained, in all time coming." Named in honor of the reigning monarchs King William III and Queen Mary II, the college is the second oldest college in the United States. The original plans for the college date back to 1618 but were thwarted by the Indian Massacre of 1622, a change in government (in 1624, the Virginia Company's charter was revoked by King James I and the Virginia Colony was transferred to royal authority as a crown colony), events related to the English Civil War, and Bacon's Rebellion. In 1695 before the town of Williamsburg existed, construction began on the College Building, now known as the Sir Christopher Wren Building, in what was then called Middle Plantation (Virginia). It is the oldest college building in America. 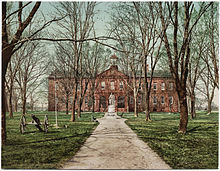 The college is one of the country's nine Colonial Colleges founded before the American Revolution. 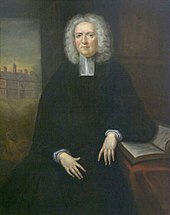 The Charter named James Blair as the college's first president (a lifetime appointment which he held until his death in 1743). William & Mary was founded as an Anglican institution; students were required to be members of the Church of England, and professors were required to declare adherence to the Thirty-Nine Articles. In 1693, the college was given a seat in the House of Burgesses and it was determined the college would be supported by tobacco taxes and export duties on furs and animal skins. The college acquired a 330 acres (1.3 km2) parcel for the new school, 8 miles (13 km) from Jamestown. In 1694, the new school opened in temporary buildings. Williamsburg was granted a royal charter as a city in 1722 by The Crown and served as the capital of Colonial Virginia from 1699 to 1780. During this time, the college served as a law center and lawmakers frequently used its buildings. It educated future U.S. Presidents Thomas Jefferson, James Monroe, and John Tyler. The college has been called "the Alma Mater of a Nation" because of its close ties to America's founding fathers. A 17-year-old George Washington received his surveyor's license through the college and would return as its first American chancellor. William & Mary is famous for its firsts: the first U.S. institution with a royal charter, the first Greek-letter society (Phi Beta Kappa, founded in 1776), the first collegiate society in the country (F.H.C. Society, founded in 1750), the first student honor code and the first law school in America. During the period of the American Revolution, freedom of religion was established in Virginia notably with the 1786 passage of the Virginia Statute for Religious Freedom. Future U.S. President James Madison was a key figure in the transition to religious freedom in Virginia, and Right Reverend James Madison, his cousin and Thomas Jefferson, who was on the Board of Visitors, helped the College of William & Mary to make the transition as well. In 1779 the college became the first American university with the establishment of the graduate schools in law and medicine. 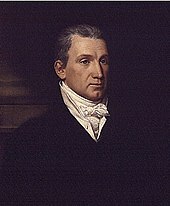 [clarification needed] As its president, Reverend Madison worked with the new leaders of Virginia, most notably Jefferson, on a reorganization and changes for the college which included the abolition of the Divinity School and the Indian School and the establishment of the first elective system of study and honor system. In 1842, alumni of the college formed the Society of the Alumni which is now the sixth oldest alumni organization in the United States. In 1859, a great fire caused destruction to the College Building. The Alumni House is one of the few original antebellum structures remaining on campus; notable others include the Wren Building, the President's House, the Brafferton, and Prince George House. At the outset of the American Civil War (1861–1865), enlistments in the Confederate States Army depleted the student body; and on May 10, 1861, the faculty voted to close the college for the duration of the conflict. The College Building was used as a Confederate barracks and later as a hospital, first by Confederate, and later Union forces. The Battle of Williamsburg was fought nearby during the Peninsula Campaign on May 5, 1862, and the city was captured by the Union army the next day. The Brafferton building of the college was used for a time as quarters for the commanding officer of the Union garrison occupying the town. On September 9, 1862, drunken soldiers of the 5th Pennsylvania Cavalry set fire to the College Building, purportedly in an attempt to prevent Confederate snipers from using it for cover. Much damage was done to the community during the Union occupation, which lasted until September 1865. Following restoration of the Union, Virginia was destitute from the War. The college's 16th president, Benjamin Stoddert Ewell, finally reopened the school in 1869 using his personal funds but the college closed in 1882 due to lack of funds. In 1888, William & Mary resumed operations under a substitute charter when the Commonwealth of Virginia passed an act appropriating $10,000 to support the college as a state teacher-training institution. Lyon Gardiner Tyler (son of US President and alumnus John Tyler) became the 17th president of the college following President Ewell's retirement. Tyler, along with 18th president J. A. C. Chandler, expanded the college into a modern institution. In March 1906, the General Assembly passed an act taking over the grounds of the colonial institution, and it has remained publicly supported ever since. In 1918, William & Mary became one of the first universities in Virginia to admit women and become coeducational. During this time, enrollment increased from 104 students in 1889 to 1269 students by 1932. Largely thanks to the vision of a William and Mary instructor, Reverend Dr. W. A. R. Goodwin, the College Building, the President's House and the Brafferton (originally the Indian School) were restored to their 18th century appearance between 1928 and 1932 with substantial financial support from John D. Rockefeller, Jr. and his wife, Abby Aldrich Rockefeller. Together, they led the establishment and beginnings of Colonial Williamsburg. In 1930, William & Mary expanded its territorial range by establishing a branch in Norfolk, Virginia – The Norfolk Division of the College of William & Mary. This extension would eventually become the independent state-supported institution known as Old Dominion University. Significant campus construction continued under the college's nineteenth president, John Stewart Bryan. President Franklin D. Roosevelt received an honorary degree from the college on October 20, 1934. In 1935, the Sunken Garden was constructed, just west of the Wren Building. The sunken design is taken from a similar landscape feature at Royal Hospital Chelsea in London, designed by Sir Christopher Wren. The college has a history of supporting freedom of the press dating back at least to the 1940s. In 1945, for example, the college administration sanctioned the student Marilyn Kaemmerle for an article she had written in The Flat Hat supporting the end of racist policies of segregation, anti-miscegenation laws and white supremacy. 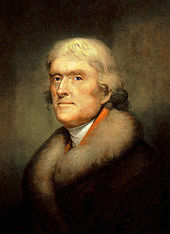 According to Time magazine, in response, over one-thousand William & Mary students held "a spirited mass meeting protesting infringement of the sacred principles of freedom of the press bequeathed by Alumnus Thomas Jefferson." She was pardoned by the college Board of Visitors decades later. The college admitted Hulon Willis into a graduate program in 1951 because the program was unavailable at Virginia State. However, the college did not open all programs to African-American students until around 1970. In 1974, Jay Winston Johns willed Highland, the 535-acre (2.17 km2) historic Albemarle County, Virginia estate of alumnus and U.S. President James Monroe, to the college. The college restored this historic presidential home near Charlottesville and opened it to the public. On July 25, 2012, Eastern Virginia Medical School (EVMS), in nearby Norfolk, Virginia made a joint announcement with William & Mary that the two schools were considering merging so that EVMS would become the William & Mary School of Medicine. Any such merger would have to be confirmed by the two schools and then confirmed by the Virginia General Assembly and Governor. A pilot relationship, supported by a $200,000 grant in the Virginia budget, was subsequently agreed upon by both universities to examine this possible union in reality. The Sir Christopher Wren Building is the oldest college building in the United States and a National Historic Landmark. The building, colloquially referred to as the "Wren Building", was named upon its renovation in 1931 to honor the English architect Sir Christopher Wren. The basis for the 1930s name is a 1724 history in which Hugh Jones stated the 1699 design was "first modelled by Sir Christopher Wren" and then was adapted "by the Gentlemen there" in Virginia; little is known about how it looked, since it burned within a few years of its completion. Today's Wren Building is based on the design of its 1716 replacement. The college's alumni association has suggested that Wren's connection to the 1931 building is a viable subject of investigation. Two other buildings around the Wren Building complete a triangle known unofficially as "Ancient Campus": the Brafferton (built in 1723 and originally housing the Indian School, now the President and Provost's offices) and the President's House (built in 1732). In addition to the "Ancient Campus", which dates to the 18th century, the college also consists of "Old Campus" and "New Campus." "Old Campus" consists of academic buildings and dormitories built in close proximity to the Wren Building and match the Georgian and Anglo-Dutch architecture of the colonial buildings of "Ancient Campus" and Colonial Williamsburg. Located directly to the west of the Wren Building, the majority of "Old Campus" was constructed during the 1920s and 1930s and is dominated by the Sunken Gardens and the college's football stadium, Zable Stadium. Also located within "Old Campus" are Sorority Court, the majority of upperclassmen dormitories, and the offices and classrooms of the History, Economics, Government, Philosophy, Religion, Music, Modern Language, and English Departments. Adjoining "Old Campus" to the north and west is "New Campus." It was constructed primarily between 1950 and 1980, and it consists of academic buildings and dormitories that, while of the same brick construction as "Old Campus", fit into the vernacular of modern architecture. Beginning with the college's tercentenary in 1993, the college has embarked on a building and renovation program that favors the traditional architectural style of "Old Campus", while incorporating energy-efficient technologies. Several buildings constructed since the 1990s have been LEED certified. Additionally, as the buildings of "New Campus" are renovated after decades of use, several have been remodeled to incorporate more traditional architectural elements in an effort to unify the appearance of the entire college campus. "New Campus" is dominated by William and Mary Hall, Earl Gregg Swem Library, and Phi Beta Kappa Memorial Hall. It also includes the offices and classrooms of the Mathematics, Physics, Psychology, Biology, and Chemistry Departments, the majority of freshman dormitories, the fraternity complex, and the majority of the college's athletic fields. The newest addition to "New Campus" is Alan B. Miller Hall, the headquarters of the college's Mason School of Business. The recent wave of construction at William and Mary has resulted in a new building for the School of Education, located not far from William and Mary Hall. Additionally, new facilities have freed up space in existing structures. The offices and classrooms of the Government, Economics, and Classical Language Departments, which share a building on "New Campus" (Morton Hall), could potentially be separated and some relocated to vacant buildings recently renovated within the "Old Campus". 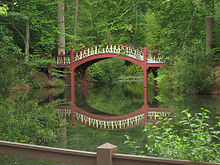 The vast majority of William and Mary's 1,200 acres (4.9 km2) consists of woodlands and Lake Matoaka, an artificial lake created by colonists in the early 18th century. The college has shown a dedication to the stewardship and preservation of these natural elements, which are accessible via the trails running throughout the campus. The Board of Visitors is a corporation established by the General Assembly of Virginia to govern and supervise the operation of the College of William & Mary and of Richard Bland College. The corporation is composed of 17 members appointed by the Governor of Virginia, based upon the recommendations made by the Society of the Alumni, to a maximum of two-successive four-year terms. The Board elects a Rector, Vice Rector, and Secretary and the Board meets four times annually. The Board is responsible for appointing a president, related administrative officers, and an honorary chancellor, approving degrees, admission policies, departments, and schools, and executing the fiduciary duties of supervising the college's property and finances. The Chancellor of the College of William and Mary is largely a ceremonial role. Until 1776, the position was held by an English subject, usually the Archbishop of Canterbury or the Bishop of London, who served as the college's advocate to the crown, while a colonial President oversaw the day-to-day activities of the Williamsburg campus. Following the Revolutionary War, General George Washington was appointed as the first American chancellor; later United States President John Tyler held the post. The college has recently had a number of distinguished chancellors: former Chief Justice of the United States Warren E. Burger (1986–1993), former British Prime Minister Margaret Thatcher (1993–2000), former U.S. Secretary of State Henry Kissinger (2000–2005), and former U.S. Supreme Court Justice Sandra Day O'Connor (2005–2012). Former U.S. Secretary of Defense Robert M. Gates, himself an alumnus of the college, succeeded O'Connor in February 2012. The Board of Visitors delegates to a president the operating responsibility and accountability for the administrative, fiscal, and academic performance of the college as well as representing the college on public occasions such as conferral of degrees. W. Taylor Reveley III, 27th President of the college, served from 2008 to 2018. The president is assisted by a provost, the senior academic officer of the university, and several vice presidents. Faculty members are organized into separate faculties of the Faculty of Arts and Science as well as those for the respective schools of Business, Education, Law, and Virginia Institute of Marine Science. Each faculty is presided over by a dean, who reports to the provost, and governs itself through separate by-laws approved by the Board of Visitors. The faculty are also represented by a faculty assembly that serves to advise the president and provost. The Royal Hospital School, an independent boarding school in the United Kingdom, is a sister institution. The graduate programs are dominant in STEM fields and the university has a high level of research activity. For the 2013–14 school year, 1,573 undergraduate, 591 masters, and 287 doctoral degrees were conferred. William & Mary is accredited by the Southern Association of Colleges and Schools. William & Mary enrolled 6,301 undergraduate and 2,183 postgraduate students in fall 2015. Women made up 56.5% of the undergraduate and 51.9% of the graduate student bodies. Admission to W&M is considered "most selective" according to U.S. News and World Report. There were 14,952 applications for admission to the class of 2019 (enrolling fall 2015): 5,153 were admitted (34%) and 1,518 enrolled (an admissions yield of 30%). The average high school GPA of enrolled freshmen was 4.19, and 92.4% had a high school GPA of 3.75 or higher. The middle 50% range on SAT scores was 630–730 for reading, 630–730 for math, and 620–720 for writing, while the ACT Composite middle 50% range was 28–32. W&M ranks as the 6th best public university, tied for 32nd best overall university program in America, and tied for 594th best global university, according to the 2017 U.S. News & World Report rankings. U.S. News & World Report also rated William & Mary's undergraduate teaching as the 4th best in the nation in its 2016 rankings. In the 2016 "America's Top Colleges" ranking by Forbes, W&M was ranked the 5th best public and 38th out of the 660 best private and public colleges and universities. W&M ranked 3rd for race and class interaction in Princeton Review's 2018 rankings. W&M ranked 1st as the public college with the smartest students in the nation according to Business Insider's 2014 survey. For 2016 Kiplinger ranked William & Mary 10th out of the top 100 best-value public colleges and universities in the U.S. The undergraduate business program was ranked 12th among undergraduate programs by the 2016 Bloomberg Businessweek survey. William & Mary's graduate program in U.S. colonial history was ranked 3rd by U.S. News & World Report in its rankings for 2016. William & Mary Law School is the oldest existing law school in the United States and was ranked 29th among all schools in the 2016 edition of the U.S. News & World Report law school rankings. The College of William & Mary Computer Science Department was ranked 70th among all schools in the 2016 edition of the U.S. News & World Report graduate school rankings. The College of William & Mary Physics Graduate program was ranked 71st among all schools in the 2018 edition of the U.S. News & World Report graduate school rankings. William & Mary's graduate business program (Mason School of Business) ranked 37th by Business Week in 2015, 41st by Forbes in 2011, 40th nationally by the Financial Times in 2008 and 17th nationally by the Wall Street Journal. It is also ranked tied for 74th by U.S. News & World Report in its rankings for 2016. In 2017, it was ranked 2nd in "Best MBA Professors" by The Princeton Review. The William & Mary School of Education ranked 46th in the 2016 U.S. News & World Report rankings. The Omohundro Institute of Early American History and Culture publishes the William and Mary Quarterly, a scholarly journal focusing on colonial history, particularly in North America and the Atlantic World from the Age of Discovery onward. In addition to the Quarterly, W&M, in accordance with its mission to provide undergraduates with a thorough grounding in research also hosts several student journals. The Monitor is the undergraduate journal of International Studies which publishes on a bi-annual basis. The Lyon Gardiner Tyler Department of History also supports an undergraduate history journal, The James Blair Historical Review, which publishes on an annual basis. Non-academic publications include The William & Mary Review – the college's official literary magazine – Winged Nation – a student literary arts magazine, Acropolis – the Art and Art History magazine, The Flat Hat – the student newspaper, The Botetourt Squat – the student satirical newspaper, The Colonial Echo – the college's yearbook, The DoG Street Journal – a daily online newspaper, and ROCKET Magazine – the college's fashion, art, and photography publication. Since the 17th century, many prominent academics have chosen to teach at William & Mary. Distinguished faculty include the first professor of law in the United States, George Wythe (who taught Henry Clay, John Marshall, and Thomas Jefferson, among others); William Small (Thomas Jefferson's cherished mentor); William and Thomas Dawson, who were also presidents of William & Mary. In addition, the founder and first president of the Massachusetts Institute of Technology – William Barton Rogers – taught chemistry at William & Mary (which was also Professor Barton's alma mater). Several members of the socially elite and politically influential Tucker family, including Nathaniel Beverley, St. George, and Henry St. George Tucker Sr. (who penned the original honor code pledge for the University of Virginia that remains in use there today), taught at William & Mary. More recently, William & Mary recruited the constitutional scholar William Van Alstyne from Duke Law School. Professor Benjamin Bolger – the second-most credentialed person in modern history behind Michael Nicholson – teaches at W&M. Lawrence Wilkerson, current Harriman Visiting Professor of Government and Public Policy, was chief of staff for Colin Powell. Susan Wise Bauer is an author and founder of Peace Hill Press who teaches writing and American literature at the college. James Axtell, who teaches history, was inducted into the American Academy of Arts and Sciences as a Fellow in 2004. The college enjoys a temperate climate. In addition to renovations on the student recreation center (including a new gym, rock climbing wall, and larger exercise rooms), the largely wooded campus has its own lake and outdoor amphitheatre. The Virginia Beach oceanfront is 60 miles (97 km) away, and Washington, D.C. is a 150-mile (240 km) drive to the north. Also, the beaches of the Delmarva Peninsula are just a few hours away via the Chesapeake Bay Bridge-Tunnel. The college's Alma Mater Productions (AMP) hosts concerts, comedians, and speakers on campus and in the 8,600-person capacity Kaplan Arena. Students produce numerous publications on campus, including the official student newspaper The Flat Hat, the conservative-leaning newspaper The Virginia Informer, and the monthly magazine The DoG Street Journal. The school's television station, WMTV, produces informational content in the categories of cuisine, comedy, travel, and sports. Everyday Gourmet, the flagship production of the station, was recently featured in USA Today. The college also hosts a number of prominent student-run cultural organizations, such as the Chinese Student Organization, African Cultural Society, Japanese Cultural Association, Filipino American Student Association, Vietnamese Student Association, and Tribe Bhangra Team. These organizations hold events to promote the spread and awareness of different cultures from around the world. The basis of W&M's Honor Pledge was written over 150 years ago by alumnus and law professor Henry St. George Tucker Sr. While teaching law at the University of Virginia, Tucker proposed students attach a pledge to all exams confirming on their honor they did not receive any assistance. Tucker's honor pledge was the early basis of the Honor System at the University of Virginia. At W&M, the Honor System stands as one of the college's most important traditions; it remains student-administered through the Honor Council with the advice of the faculty and administration of the college. The college's Honor System is codified such that students found guilty of cheating, stealing or lying are subject to sanctions ranging anywhere from a verbal warning up to expulsion. William and Mary considers the observance of public laws of equal importance to the observance of its own regulations. William and Mary's Board of Visitors delegates authority for discipline to its president. The President oversees a hierarchy of disciplinary authorities to enforce local laws as it pertains to William and Mary's interest as well as its internal regulatory system. William & Mary has a number of traditions, including the Yule Log Ceremony, at which the president dresses as Santa Claus and reads a rendition of "How the Grinch Stole Christmas", the Vice-President of Student Affairs reads "Twas the Night Before Finals", and The Gentlemen of the College sing the song "The Twelve Days of Christmas". Christmas is a grand celebration at the college; decorated Christmas trees abound on campus. This popular tradition in fact started when German immigrant Charles Minnigerode, a humanities professor at the college in 1842 who taught Latin and Greek, brought one of the first Christmas trees to America. Entering into the social life of post-colonial Virginia, Minnigerode introduced the German custom of decorating an evergreen tree at Christmas at the home of law professor St. George Tucker, thereby becoming another of many influences that prompted Americans to adopt the practice at about that time. William and Mary also takes pride in their connections to their colonial past during Charter Day festivities. Charter Day is technically February 8, based on the date (from the Julian Calendar) that the Reverend James Blair, first president of the college received the charter from the Court of William III and Mary II at Kensington Palace in 1693. Past Charter Day speakers have included former US President John Tyler, Henry Kissinger, Margaret Thatcher, and Robert Gates. A unique tradition at William and Mary is the annual Raft Debate. Described by the college as "...a 'delicate balance of comedy and lecture,' the annual Raft Debate features four W&M faculty members from diverse disciplines, stranded on a desolate island with only a one-person life raft for escape to civilization. Based on the volume of applause, the audience chooses the sole survivor as the professors cajole, plead, pontificate, and resort shamelessly to props and costumes. The quirky event originated in the mid-1900s and was revived during the 2000s by the Graduate Center, the A&S Office of Graduate Studies and Research, and the A&S Graduate Student Association. Faculty participants represent the Humanities, the Social Sciences, or the Natural and Computational Sciences. The Devil's Advocate, who argues sarcastically that none of the academic disciplines are worth saving, has on rare occasion emerged victoriously." William & Mary has a long history of fraternities and sororities dating back to Phi Beta Kappa, the first "Greek-letter" organization, which was founded there in 1776. Today, Greek organizations play an important role in the college community, along with other social organizations (e.g. theatre and club sports organizations). Overall, about one-third of its undergraduates are active members of 16 national fraternities and 13 sororities. William & Mary is also home to several unique non-Greek social fraternities, notably the Nu Kappa Epsilon music sorority, the Alpha Phi Omega co-ed service fraternity, the gender-inclusive Phi Sigma Pi honor fraternity, and the Queens' Guard. William and Mary has eleven collegiate a cappella groups: The Botetourt Chamber Singers (1975, co-ed); The Christopher Wren Singers (1987, co-ed); The Gentlemen of the College (1990, all-male); The Stairwells (1990, all-male); Intonations (1990, all-female); Reveille (1992, all-female); The Accidentals (1992, all-female); DoubleTake (1993, co-ed); Common Ground (1995, all-female); The Cleftomaniacs (1999, co-ed); Passing Notes (2002, all-female); and The Tribetones (2015, all-female). Sinfonicron Light Opera Company, founded in 1965, is William and Mary's student run light opera company, producing musicals (traditionally those by Gilbert & Sullivan) in the early spring of each academic year. Music societies at the college include local chapters of the music honor societies Delta Omicron (co-ed) and Phi Mu Alpha (all-male) as well as Nu Kappa Epsilon (all-female). Nu Kappa Epsilon, founded in 1994 at William and Mary, is "dedicated to promoting the growth and development of musical activities at the college as well as in the Williamsburg community". William and Mary's radio station, WCWM, has been on the air since 1959. Student and faculty DJs broadcast a variety of original programming and organize music performances such as the annual WCWM Fest. William and Mary has multiple campus comedy groups. I.T. (short for Improvisational Theatre) has been around since 1986, The sketch comedy ensemble 7th Grade Sketch Comedy has been in existence since 1997. In 2012 a new improvisational group, Sandbox Improv, was formed. While I.T. performs short form improv, Sandbox Improv is the only long-form improvisational team on William and Mary's Campus. Dad Jeans Improv, around since 2016, is an improv troupe that specializes in long-form improvisation with a technical element of some sort in each show. Formerly known as the "Indians", William & Mary's athletic teams are now known as the "Tribe". The college fields NCAA Division I teams for men and women in basketball, cross country, golf, gymnastics, soccer, swimming, tennis, and indoor and outdoor track and field. In addition, there are women's field hockey, lacrosse and volleyball squads as well as men's baseball and football. In the 2004–05 season, the Tribe garnered five Colonial Athletic Association titles, and it leads the conference with over 80 titles. In that same year, several teams competed in the NCAA Championships, with the football team appearing in the Division I-AA national semifinals. The men's cross country team finished 8th and 5th at the Division I NCAA Men's Cross Country Championship in 2006 and 2009, respectively. The William & Mary men's basketball team is one of four original Division I schools that has never been to the NCAA Division I Men's Basketball Tournament. In May 2006, the NCAA ruled that the athletic logo, which includes two green and gold feathers, could create an environment that is offensive to the American Indian community, even though the Florida State Seminoles logo and Utah Utes logo were considered unoffensive. The college's appeal regarding the use of the institution's athletic logo to the NCAA Executive Committee was rejected. The "Tribe" nickname, by itself, was found to be neither hostile nor abusive, but rather communicates ennobling sentiments of commitment, shared idealism, community and common cause. The college stated it would phase out the use of the two feathers by the fall of 2007, although they can still be seen prominently painted on streets throughout the campus. The College of William & Mary counts many famous and historical people among its alumni, including three of the first ten presidents of the United States, four United States Supreme Court justices, dozens of United States senators and representatives and current entertainers. Glenn Close, prolific American actress and producer. Close graduated in William and Mary's Class of 1974 as a theater and anthropology major. The "William & Mary Hymn" is sung at the commencement exercises by the choir of the College of William & Mary as the graduating class processes into William & Mary Hall. Commencement speakers at the College of William and Mary have included a variety of notables, including alumni, presidents of the college, students, professors, politicians, journalists, entertainers, and royalty, among others. ^ The College gives its founding date as 1693, but it has not operated continuously since that time, having closed at two separate periods, 1861–1869 (during and following the American Civil War and later during 1882–1888; see Post-colonial history). ^ As of January 17, 2019. "2018 William & Mary Financial Report" (PDF). 2018 William & Mary President's Report. 2018. ^ Office of the Provost. Retrieved on December 11, 2009. ^ W&M at a Glance. Accessed March 19, 2013. ^ a b c d e f g "Common Data Set 2015–2016, Part B". Office of Institutional Research, College of William & Mary. ^ "University Colors – University Guidelines". Retrieved November 19, 2014. ^ "Get me the Griffin: William & Mary Announces New Mascot". The College of William & Mary. April 6, 2010. Retrieved April 6, 2010. ^ "William & Mary – History of the College". www.wm.edu. Archived from the original on December 9, 2015. Retrieved October 31, 2015. ^ "Earl Gregg Swem Library Special Collections". Swem.wm.edu. Retrieved September 26, 2008. ^ GmbH, Sedo. "williamsburgpostcards.com". williamsburgpostcards.com. Archived from the original on January 20, 2012. ^ "Virginia Vignettes » What Was the Brafferton School?". Virginiavignettes.org. August 2007. Archived from the original on November 11, 2007. Retrieved September 26, 2008. ^ Brophy, Alfred L. (2016). University, Court, and Slave: Prolsavery Thought in Southern Courts and Colleges and the Coming of Civil War. Oxford University Press. ISBN 0190625937. ^ Barnes, II, F. James. "William & Mary Alumni > History". Alumni.wm.edu. Retrieved September 26, 2008. ^ "1850–1899 | Historical Facts". Historical Chronology of William and Mary. Wm.edu. Archived from the original on July 4, 2008. Retrieved September 26, 2008. ^ Women at UVa: Graduate and Professional Schools Archived February 16, 2015, at the Wayback Machine. .lib.virginia.edu. Retrieved on August 9, 2013. ^ Roosevelt's Address at William and Mary – Article – NYTimes.com Archived June 8, 2013, at the Wayback Machine. Select.nytimes.com (October 21, 1934). Retrieved on August 9, 2013. ^ "Marilyn Kaemmerle". wm.edu. Archived from the original on March 9, 2012. ^ Wallenstein, Peter. "Desegregation in Higher Education in Virginia". Retrieved June 28, 2014. ^ Godson; et al. (1993). The College of William and Mary: A History. King and Queen Press. ISBN 0-9615670-4-X. ^ "Ash Lawn-Highland, Home of James Monroe". Ashlawnhighland.org. Retrieved September 26, 2008. ^ Whitson, Brian (July 25, 2012). "W&M and EVMS to explore School of Medicine". The College of William & Mary. Retrieved March 26, 2015. ^ Reveley, Taylor (July 25, 2012). "President's message on W&M and EVMS". The College of William & Mary. Retrieved March 26, 2015. ^ Whitson, Brian (January 16, 2013). "W&M report recommends pilot partnership with EVMS". The College of William & Mary. Retrieved March 26, 2015. ^ ""America's most beautiful college campuses", Travel+Leisure (September 2011)". Travel + Leisure. Retrieved November 26, 2014. ^ "Wren Building, College of William and Mary". National Park Service. Archived from the original on February 13, 2009. Retrieved December 21, 2008. ^ Larson, Chiles T.A. (Fall 2005). "Did Wren Design the Building and William and Mary Bearing His Name?" (PDF). William & Mary. W&M Alumni Association. 71 (1): 59. Archived from the original (PDF) on April 13, 2015. Retrieved April 14, 2015. ^ "Facts about Lake Matoaka". The College of William and Mary. Archived from the original on May 13, 2011. Retrieved May 16, 2011. ^ a b c d e "Faculty Handbook" (PDF). 2008. Archived from the original (PDF) on February 7, 2009. Retrieved December 21, 2008. ^ "Members of the Board". Board of Visitors, The College of William & Mary. Retrieved December 21, 2008. ^ "Duties and History, Chancellor". The College of William and Mary. Retrieved December 21, 2008. ^ Ukman, Jason (September 6, 2011). "Gates takes chancellor's post at William and Mary". Washington Post. Retrieved September 6, 2011. ^ "W. Taylor Reveley, President". The College of William and Mary. Retrieved December 21, 2008. ^ "Greenwich Hospital School: A Brief History of The Royal Hospital School". Mariners. March 5, 2003. Retrieved February 9, 2009. ^ a b "Carnegie Classifications: College of William and Mary". The Carnegie Foundation for the Advancement of Teaching. Retrieved December 21, 2008. ^ William & Mary – St Andrews William & Mary Joint Degree Programme Archived April 5, 2012, at the Wayback Machine. Wm.edu. Retrieved on August 9, 2013. ^ "SACS at William & Mary". The College of William and Mary. Archived from the original on February 18, 2009. Retrieved December 21, 2008. ^ See Demographics of Virginia and Demographics of the United States for references. ^ a b c "Common Data Set 2015–2016, Part C". Office of Institutional Research, College of William & Mary. ^ "Common Data Set 2015–2016, Part G". Office of Institutional Research, College of William & Mary. ^ "Common Data Set 2015–2016, Part H". Office of Institutional Research, College of William & Mary. ^ Barshay, Jill. "Selective Service by Zach Wenner, Jonny Dorsey, and Fagan Harris". The Washington Monthly. Retrieved August 21, 2014. ^ a b c d e f g h "College of William & Mary". U.S. News & World Report. Retrieved September 13, 2016. ^ "America's Top Colleges: College of William & Mary". Forbes. July 5, 2016. ^ Education (March 24, 2014). "20 Public Colleges With Smartest Students". Business Insider. Retrieved February 1, 2016. ^ "Kiplinger's Best Values in Public Colleges 2016". Kiplinger's Personal Finance. December 2015. ^ "Best Undergraduate Business Schools 2016". Businessweek.com. April 19, 2016. Retrieved May 28, 2016. ^ "William & Mary - About". Wm.edu. Retrieved August 21, 2014. ^ "The Best US B-Schools of 2015". Business Week. Retrieved August 22, 2016. ^ "Best Business Schools". Forbes. Retrieved January 17, 2013. ^ "Business school rankings and MBA rankings". Financial Times. 2008. Retrieved December 21, 2008. ^ "WSJ: Mason School is a Top 20 Business School". The College of William & Mary. September 18, 2007. Archived from the original on October 26, 2008. Retrieved December 21, 2008. ^ Doiron, Alexa (December 29, 2017). "Mason School ranks high on Best Business Schools list | Williamsburg Yorktown Daily". Williamsburg Yorktown Daily. Retrieved January 8, 2018. ^ "Twenty-seven degrees and counting: Kalamazoo man enjoys the 'freedom' of intellectual pursuits". MLive.com. ^ "KeckWeather". Wm.edu. Archived from the original on June 23, 2008. Retrieved September 26, 2008. ^ "Recreational Sports | Rec Sports". Wm.edu. Retrieved September 26, 2008. ^ "The Flat Hat". Flat Hat News. Retrieved November 26, 2014. ^ Harpaz, Beth J. (July 24, 2009). "Ramen noodles no more? College students go gourmet". USA Today. Education. Retrieved August 17, 2009. ^ W&M Ballroom Dance Club Archived March 4, 2016, at the Wayback Machine. Wmpeople.wm.edu. Retrieved on August 9, 2013. ^ Olsen, Patricia R. (January 6, 2008). "And Out of the Corner of My Eye... – New York Times". Nytimes.com. Retrieved September 26, 2008. ^ "Tucker, Henry St. George, (1780–1848)". Biographical Dictionary of the United States Congress. Retrieved December 12, 2008. ^ Barefoot, Coy (Spring 2008). "The Evolution of Honor: Enduring Principle, Changing Times". The University of Virginia Magazine. Charlottesville, Virginia: University of Virginia Alumni Assn. 97 (1): 22–27. Archived from the original (– Scholar search) on March 29, 2008. Retrieved March 4, 2008. ^ Smith, C. Alphonso (November 29, 1936). "'I Certify On My Honor--' The Real Story of How the Famed 'Honor System' at University of Virginia Functions and What Matriculating Students Should Know About It". Richmond Times Dispatch. Archived from the original on July 25, 2013. Retrieved December 12, 2008. ^ Bruce, Philip Alexander (1921). History of the University of Virginia: The Lengthened Shadow of One Man. III. New York: Macmillan. pp. 68–69. ^ "Judicial Affairs |". Wm.edu. Archived from the original on June 9, 2008. Retrieved September 26, 2008. ^ "Student Code of Conduct". Wm.edu. Retrieved April 26, 2016. ^ "12/1/2004 – Holiday Traditions Fill The Season In Williamsburg – Travel – Chattanoogan.com". Chattanoogan.com. Archived from the original on February 14, 2009. Retrieved September 26, 2008. ^ Minnigerode, Charles (1814–1894) Archived August 1, 2016, at the Wayback Machine. Encyclopedia Virginia. Retrieved on August 9, 2013. ^ "Chapters". Wm.edu. February 4, 2013. Retrieved June 28, 2014. ^ "The Queens' Guard Homepage and Pershing Rifles Co. W-4". The College of William and Mary. Archived from the original on August 30, 2008. Retrieved February 13, 2008. ^ "W&M a cappella council homepage". Archived from the original on August 5, 2012. Retrieved November 26, 2014. ^ "Classical & Jazz Ensembles". College of William & Mary. College of William & Mary. Retrieved February 26, 2015. ^ "Non-Traditional & World-Music Ensembles". College of William & Mary. College of William & Mary. Retrieved February 26, 2015. ^ "The William & Mary Pep Band". William & Mary Pep Band. Archived from the original on February 26, 2015. Retrieved February 26, 2015. ^ "WCWM Fest". WCWM Fest. Retrieved March 25, 2017. ^ "7th Grade Sketch Comedy". Archived from the original on July 19, 2011. Retrieved November 26, 2014. ^ "Sandbox Improv: New group on campus adds to comedy community". Flat Hat News. January 17, 2013. Retrieved August 21, 2014. ^ "Comedy at the College: Various college cmedy groups hold the VCCIs". Flat Hat News. January 17, 2013. Retrieved August 21, 2014. ^ "'Tribe' refers to community Nichol states in a report sent to the NCAA | University Relations". Wm.edu. Retrieved September 26, 2008. ^ "William and Mary to change athletic logo before Fall 2007 | University Relations". Wm.edu. Retrieved September 26, 2008. ^ "William and Mary Hymn". Special Collections Research Center. Archived from the original on January 4, 2016. Retrieved November 7, 2015. ^ "Commencement Speakers". Special Collections Research Center. Archived from the original on January 1, 2009. Retrieved March 5, 2009. Wikimedia Commons has media related to College of William & Mary. Drone, Eaton S. (1879). "William and Mary, College of" . The American Cyclopædia.